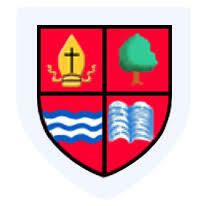 We are an all junior age (7 to 11) school in the North east of England - specifically County Durham. We are hoping for funding to buy 2 sets of BBC Microbits to use with our Y5 and Y6 pupils in Computing. They are a really affordable but versatile piece of equipment to use when coding. Using them, we can program them to play messages, light LEDs or play music. Ideally we would like at least one between 2 pupils to make it more exciting for them. Our Y5 and Y6 pupils in Computing. This would really enhance our Computing curriculum by allowing our pupils to program a real piece of equipment that they can see and touch, rather than just a mimic or simulation on the screen. They find it incredibly exciting and it would really enable us to move our coding forward. 2 x Class starter packs of 10 cost @ £148.80 https://www.kitronik.co.uk/5616-bbc-microbit-classroom-pack.html and these include all the leads, battery packs etc. If we're fortunate enough to raise more than our target, then we would extend our purchases to buy enough microbits for a whole class of 30 pupils. The total cost of 2 class starter packs would be £297.60. You might think we could buy this out of our school funds but budgets are so tight these days that we struggle to buy enough glue sticks, never mind extra pieces of equipment! Any help you can give us would be truly appreciated. If you can't afford to donate (it's an expensive time of year) maybe you could help us by sharing our message to others. Please try to support us in any way that you can. Thanks. A thank you from the teacher. A mention on our newsletter or school blog.